The co-founder of Western Sydney’s leading apartment developer Dyldam and new 2016 Property Person of the Year Joe Khattar describes the Australian housing markets as stable and healthy but regrets not buying more land in Kirribilli, Sydney’s expensive lower north shore suburb. Mr Khattar, who received the Property Person award from Urban Taskforce at a ceremony in Sydney on Tuesday night – taking the mantle from Crown Group’s Iwan Sunito who won last year – also said building apartments in Sydney has become easier, but only when compared to 1969. “Back then there was no competition, but there was no one who would back or fund apartment developments [either],” he said in an interview with the master of ceremony, 2GB presenter and friend Ray Hadley, on Tuesday night. “Nobody wants to fund you … you have to go to your solicitors, private persons … it was only in the 80s that the banks started advancing money to build units. 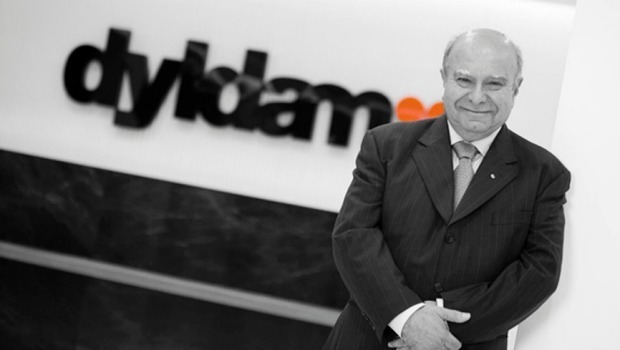 Mr Khattar, who started his 50-year career with a red-brick block of six units in Auburn in 1967, founded Dyldam with his father two years later. The company has now built more than 5000 apartments mainly in western Sydney. 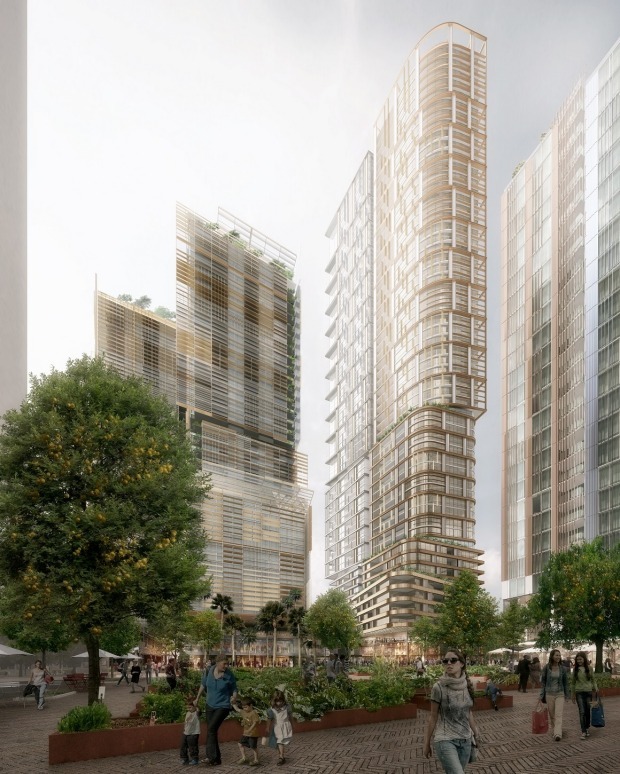 It is now building towers and the mega $600 million masterplan at the former Auto Alley site in the growing Parramatta CBD. Despite concerns of an oversupply in apartments or homeowners over-leveraging in a rush to buy homes in the recent boom, Mr Khattar said the development pace in Sydney was healthy because it was accompanied by an infrastructure boom. “The housing market [today] is very stable, very healthy, because at the moment we have infrastructure building activity … there has been nothing since the Olympic days,” he told The Australian Financial Review. “There are lots happening in infrastructure building at the moment, and this is in part due to the current state government … which also brings a lot of opportunities for long-term employment. Mr Khattar was also confident that if the interest rate rose – the Reserve Bank kept the cash rate unchanged in Tuesday’s meeting – mortgage repayments would not be affected. “Even if there is a rise in interest rate, it would not impact borrowing, our financial markets are sophisticated enough,” he said. Building homes has been in the “family blood”, Mr Khattar added. Back in the 1920s, the Khattars built churches and foreign schools in Lebanon. Today Dyldam, which includes the Fayad family, builds apartments close to employment, schools and transport. “About Dyldam, we couldn’t be happier with where it is today,” he said. Whatever the property class, Dyldam will stay in western Sydney. “You got to go where the employment is. Look at the hospital, the infrastructure in Parramatta,” he said. 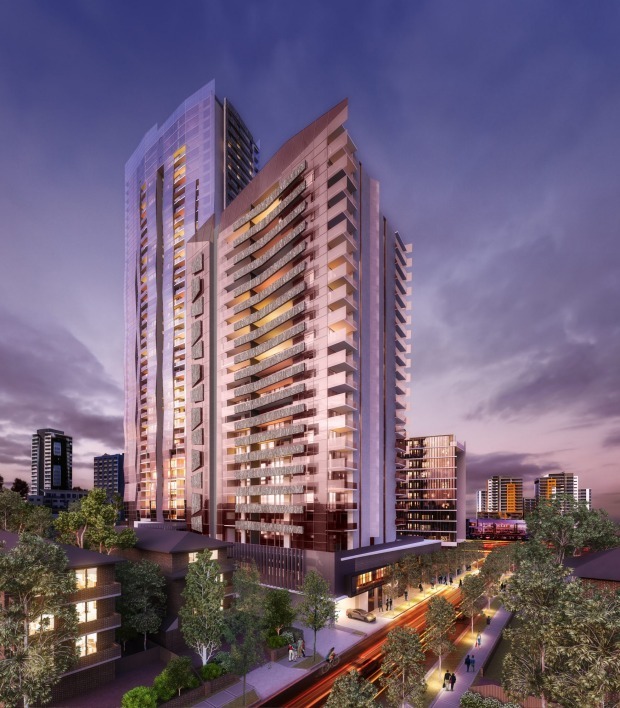 Dyldam is affectionately known as “Meriton of the west” after the country’s largest apartment builder, Meriton, and Mr Khattar has good reason to like it. “I admire Harry Triguboff for what he’s done for the country and this city,” he told Mr Hadley on Tuesday night.